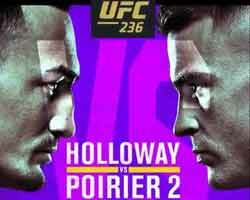 Review: 2014-07-19, pretty good fight between Brad Pickett and Ian McCall: it gets three stars. Brad Pickett entered this fight with a mma record of 24-8-0 (71% finishing rate) and he is ranked as the No.6 flyweight in the world (currently the #1 in this division is Demetrious Johnson); he fought twice in 2013 defeating Mike Easton (=Pickett vs Easton) but then he was beat by Michael McDonald (=McDonald vs Pickett). He came back to victory in 2014 winning over Neil Seery (=Pickett vs Seery). His opponent, Ian McCall, has a record of 12-4-1 (58% finishing rate) and he entered as the No.10 in the same weight class, he lost two consecutive fights between 2012 and 2013, the rematch against Demetrious Johnson (=Johnson vs McCall 2) and against Joseph Benavidez (=Benavidez vs McCall) but then he came back to victory beating Iliarde Santos. Pickett vs McCall is on the undercard of Conor McGregor vs Diego Brandao – UFC Ufn 46. Watch the video and rate this fight!